Walking is the ugly stepchild of the exercise world. Like Cinderella it is far more beautiful than her more ostentatious stepsisters. J.J. Watt, defensive star of the Houston Texans said in an interview on his injury and subsequent surgery that he was not allowed to work out in his early rehab so all he could do was walk. As a result, he found himself walking around 12 miles a day. He said he loved what it did for him mentally as well as physically. His only complaint was that he was wearing out his shoes. The connection between walking and blood pressure. How good is walking for you – Infographic? Thanks very much. I appreciate your sharing my blog. very very very good good good EXERCISE. Thanks for sharing that. Maybe an exercise bike for her? That would take the weight off her knees. I hope you can get her to do some movement. I am a stubborn 77 😊. Sure, if you have nothing wrong with your foot or ankle like I have. I loved this. I’m a walker and the info inspired me to get out the door! Thanks for sharing that. Glad you liked it! Hi! Thanks for your comment. Much appreciated. Can brisk walk or fast walking reduce belly fat ??? Burning more calories than you consume will do that. 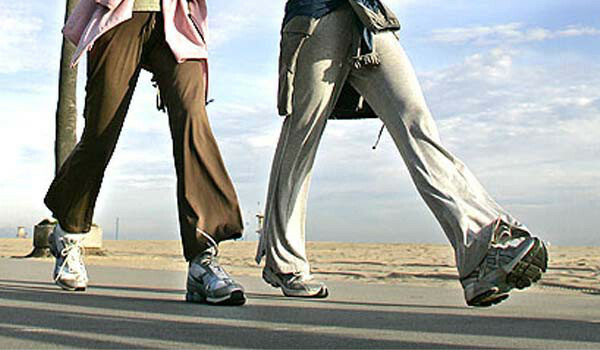 Brisk walking burns more calories. The important thing is doing it regularly. Also, pay attention to the amount of calories you are consuming.